Yesterday I met with with several students participating in the Aim High program and am inspired to share the story of this organization for today's Feel Good Friday. As explained on their website, "Aim High expands opportunities for low-income middle school students and their teachers through a free summer learning and enrichment program." Yesterday, that meant coming to Autodesk, touring the gallery and chatting with me and my colleagues about career goals. The first program took place in 1986 at Lick Wilmerding High School in San Francisco with a class of 50 students. Since then, the program has been expanding to schools around the Bay Area. In 2017, over 2,100 students participated in the program across 18 campuses. In order to prevent summer learning loss, the students receive 150 hours of instruction over five weeks. In addition to morning classes, there are afternoon enrichment activities in sports and the arts and field trips to local companies. Check out this breakdown of a typical day. You can read details and personal stories about the impact of the program here. Statistics on the website compare Aim High graduates to the national average of low income students. Aim High students graduate high school on time at a rate of 98% vs. 76% and enroll in college 98% vs. 52%. If you want to support the work of Aim High there are many ways you can get involved: donate, visit a program or convince your company to host a career day! 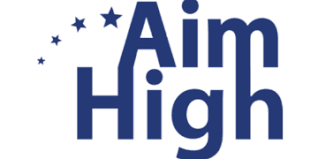 At a minimum you can stay in the loop by liking the Aim High Facebook page and following them on Twitter @AimHighProgram.